First post here so be gentle. 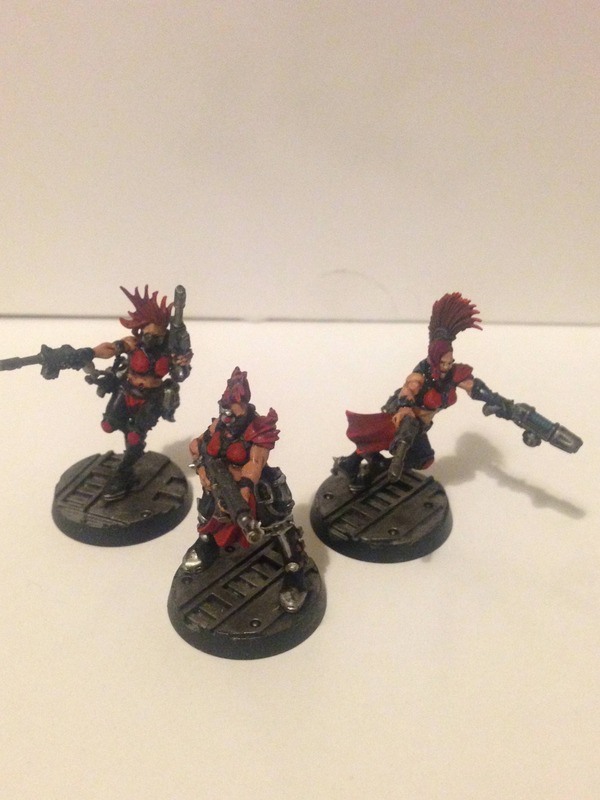 Used to play Necromunda loads back in the day, but we pretty much always had to use proxy gangers; usually Catachan or Cadians. 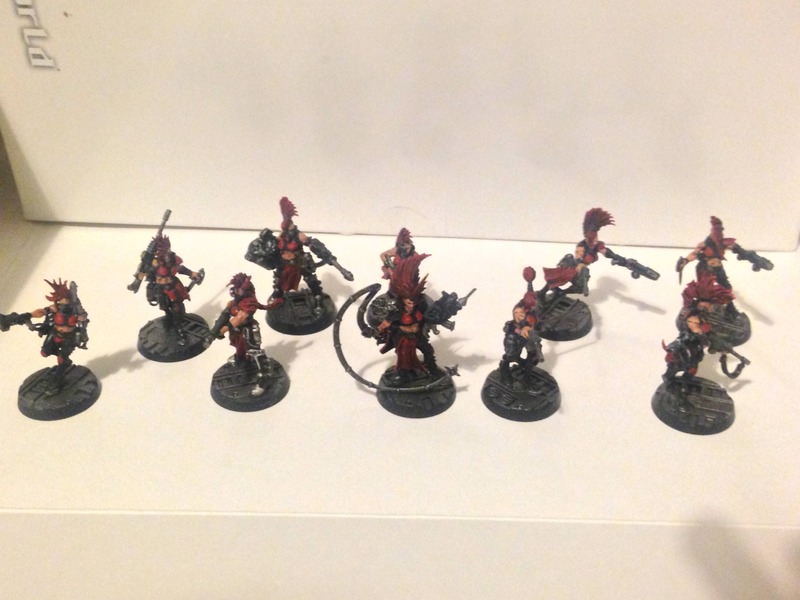 So like a lot of people I was blown away by the new plastic Necromunda gangs and had to buy some. Funnily enough my gang of choice at the time was actually Van Saar. Plasma guns and superior firepower is just an instant sell. But I really wanted the Escher gang since they have that whole Mad Max Amazon thing going and it gives them a really striking look. So as for colour scheme, Iam not going to lie, it was going to be black and then another colour. End of discussion. 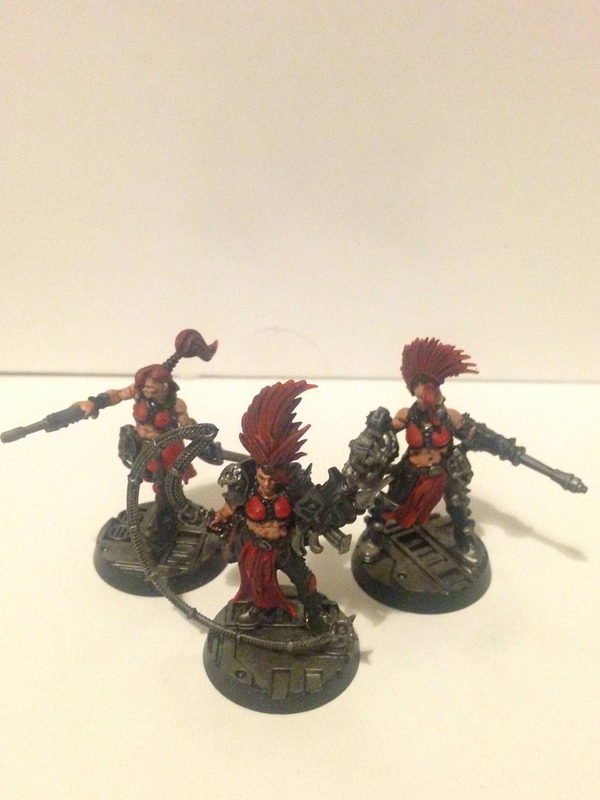 :D So I opted for red as the alternate colour for their "armour" and massive hair that could cleave a man in two. I've actually had these sitting around for a while after I did the test figure but I had a few really productive days with the snowfall. Iam planning on having a game with them sometime. Then I'll have a better idea about how gangs and progression works in the game.